Two Regina brothers are gearing up to open four retail pot shops in the province as legalization nears. The excitement is blooming for two Saskatchewan brothers as pot legalization nears. "The biggest challenge is the unknown," said David Thomas, 31. Thomas and his brother John, 33, landed four cannabis retail permits in the provincial lottery. Thomas was previously an electrical engineer and his brother was a pharmacist, but both have since put those careers on hold to focus on Jimmy's Cannabis (previously known as Prairie Sky Cannabis) full-time. "My brother speaks to it, but when he went to build his pharmacy — there's a road map, there's plenty of pharmacies that you can go in and look at their model," Thomas said. "Legal cannabis is a brand new space, and everybody's learning every day in the space, including SLGA [Saskatchewan Liquor and Gaming Authority], including government regulators." 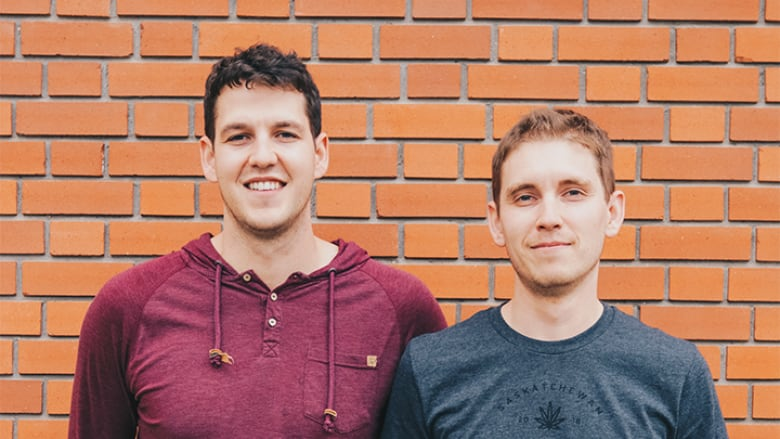 The brothers are opening up the only retail cannabis shops in Battleford, Estevan, Martensville and Moosomin. All except the Moosomin storefront are on track to be open in October once cannabis is legalized. "We're designing our stores to be the local cannabis shop down the street," Thomas said, noting the brothers were raised in the province. They want customers of all ages and experience levels to feel their "home-grown" atmosphere. Consumers will be able to skip the line in an express lane meant for people who already know what they're after. But people can also consult with a "budtender" about their options and go through a showroom. Currently, the brothers plan to hire eight employees per store, but Thomas says that could shift depending on the demand, which he calls a "moving target." He says they made their estimates using historical data, but noted they won't know for certain until the shops open. Retailers, such as Thomas, will be able to buy pot directly from registered producers. SLGA has registered seven federally licensed producers to date. Producers have to be federally licensed and in good standing to supply Saskatchewan buyers. There is not a set number or a limit on how many of those producers can supply to wholesalers and retailers, according to SLGA. Retailers will also be able to buy from wholesalers licensed by SLGA, however, the SLGA spokesperson says it cannot issue permits for wholesale cannabis suppliers in Saskatchewan until legislation comes into force on Oct. 17. Thomas says the energy in and curiosity about the industry has been encouraging. "It's a breath of fresh air to be working in such a new industry." The Thomas brothers first became business partners in real estate. They stumbled upon the cannabis RFP on SaskTenders and decided to go all in. Thomas never imagined he'd trade in a career in electrical engineering for cannabis sales.